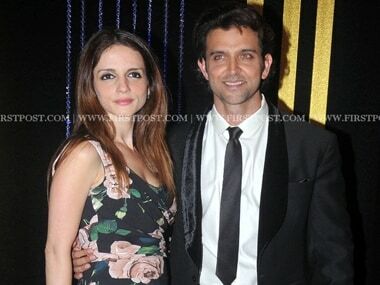 Bollywood superstar Hrithik Roshan has slammed news reports that his ex-wife Sussanne Roshan has asked for an alimony for Rs 400 crore. The creative director of The Home Label, Sussanne Roshan, shares her ideas on putting together a beautiful lunch or dinner for two on the occasion of Valentine’s Day! 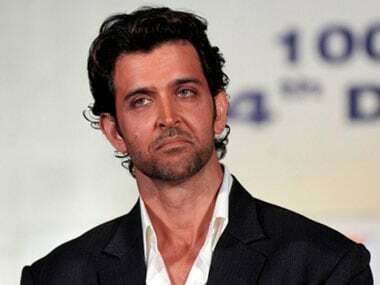 Superstar Hrithik Roshan, who turned 40 today, will celebrate his birthday with his children and family. You would think India would have changed somewhat in its reaction to a couple’s divorce in the 21st century, but if coverage of the Hrithik–Sussanne divorce is anything to go by, I was sadly mistaken. After centuries of husbands whining about their pretty but vacuous wives, this may well be the first time a man got publicly dumped for being a bimbo. As the couple decided to part ways, there were rumours of Arjun Rampal's involvement in the split following the alleged growing friendship between Sussanne and the model-actor. Actress Preity Zinta and filmmaker Karan Johar have urged the media to respect the privacy of their friends, Hrithik Roshan and his wife of 13 years, Sussanne, who have announced their split.